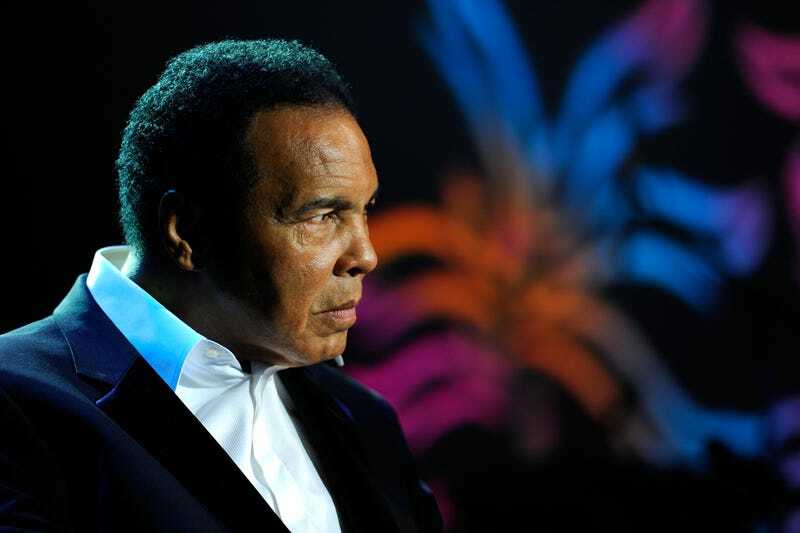 The eldest son of beloved boxer and American legend Muhammad Ali was detained by immigration officials for hours at a Florida airport earlier this month as he and his mother returned to the country from a speaking engagement abroad. The Louisville Courier-Journal reports that 44-year-old Muhammad Ali Jr. and his mother, Khalilah Camacho-Ali, arrived at the Fort Lauderdale-Hollywood International Airport on Feb. 7 upon returning from a Black History Month speaking engagement in Montego Bay, Jamaica, and they were pulled aside while going through customs. Camacho-Ali, Muhammad Ali’s second wife, was reportedly let go after she was able to produce a photograph of herself with her legendary ex-husband, but her son did not have a photo like that with him, and he was detained. “To the Ali family, it’s crystal clear that this is directly linked to Mr. Trump’s efforts to ban Muslims from the United States,” Mancini said, referring to Trump’s Jan. 27 executive order that temporarily banned people from seven Muslim-majority countries from entering the United States. Mancini told the Courier-Journal that he and the Ali family are considering filing a federal lawsuit and are currently trying to find out how many people have been subjected to the same type of treatment Ali Jr. received. Read more at the Louisville Courier-Journal.